If you are planning to start a real estate firm, the first thing you must do is recruit or hire excellent agents as your employers. A good real estate will attract the right clients and will bring in more business. That is why you need to be extra cautious when it comes to hiring people. Now, if you really are planning to hire, you need to come up with job descriptions as well. For that, you can use the templates here. 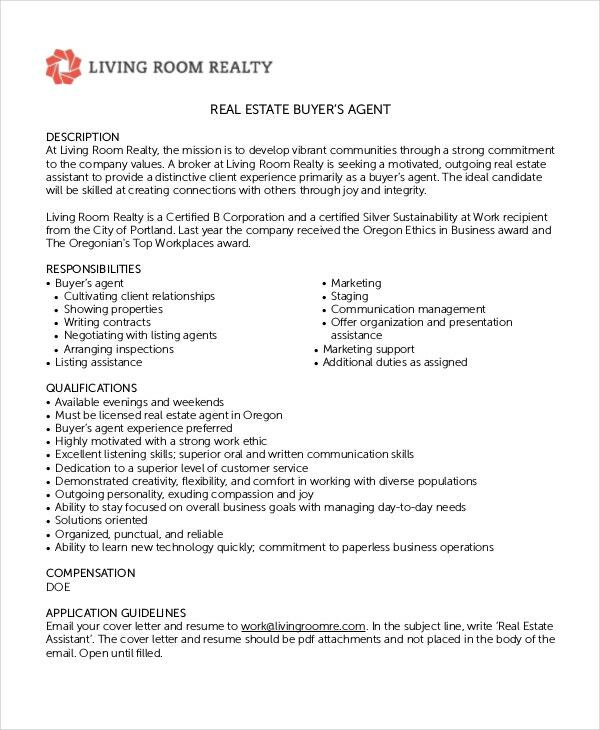 This template here is a classic description of what a real estate agent job description should be like. It comes with an easy to use format and it is easy to customize as well. This job description is directed at agents who are in charge of bringing in new clients and signing on new business. If you want to attract the right candidates, you must use this template. 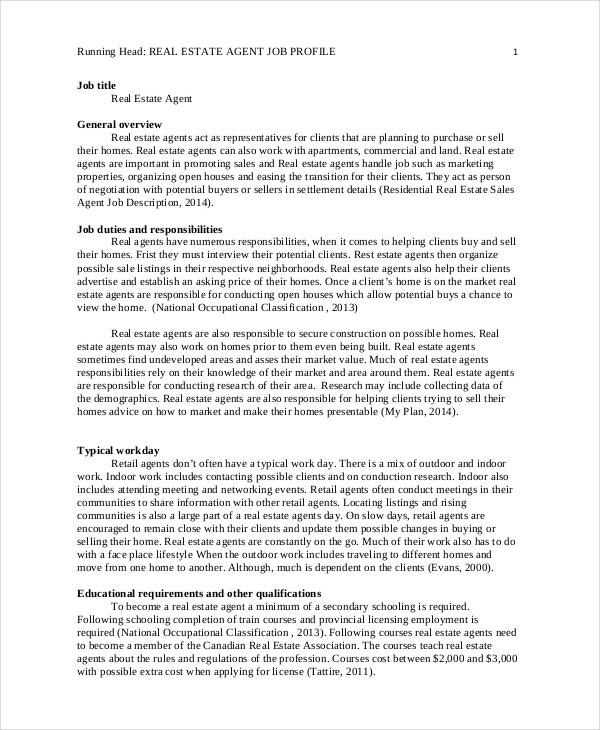 > Why should you use Real Estate Job Description Templates? Have you started a real estate firm recently? Then the one thing that’s plaguing you is recruitment. 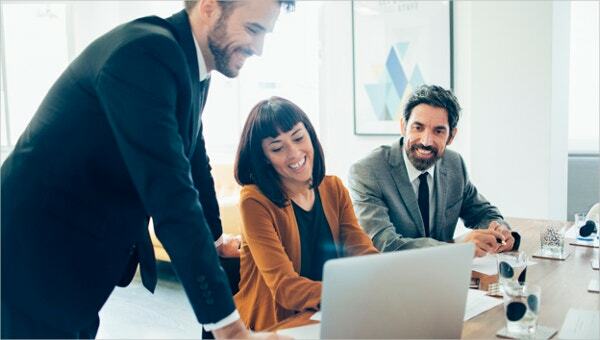 After all, the kind of employees you hire reflects your company as well. Plus, good real estate agents would be bringing in more business and satisfied customers, and that is the whole point of it all. One way of making sure you attract the right employees and candidates for all the posts at your agency is advertising the posts properly. 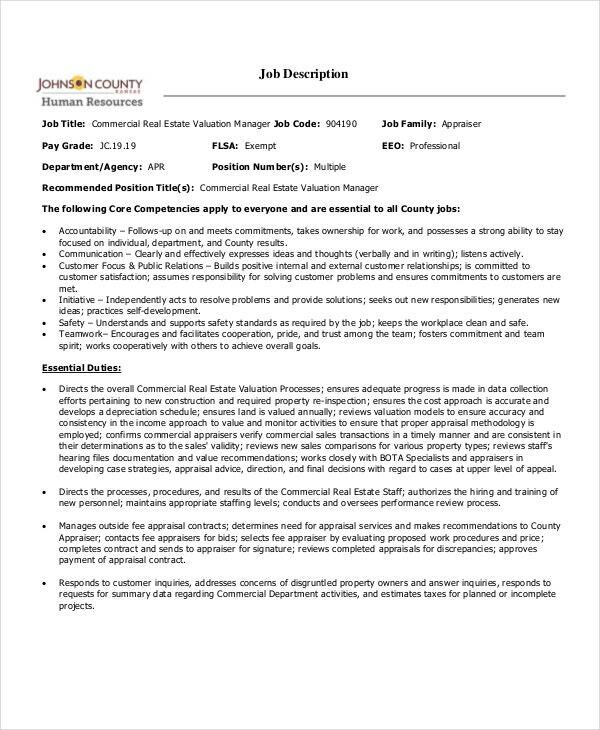 You can do so with the help of these fantastic job description templates. These templates have been designed specifically to cater to your needs. The sales team of a real estate firm is of utmost importance. If you have a vacancy in the sales team of your company, you need to take a look at this template. 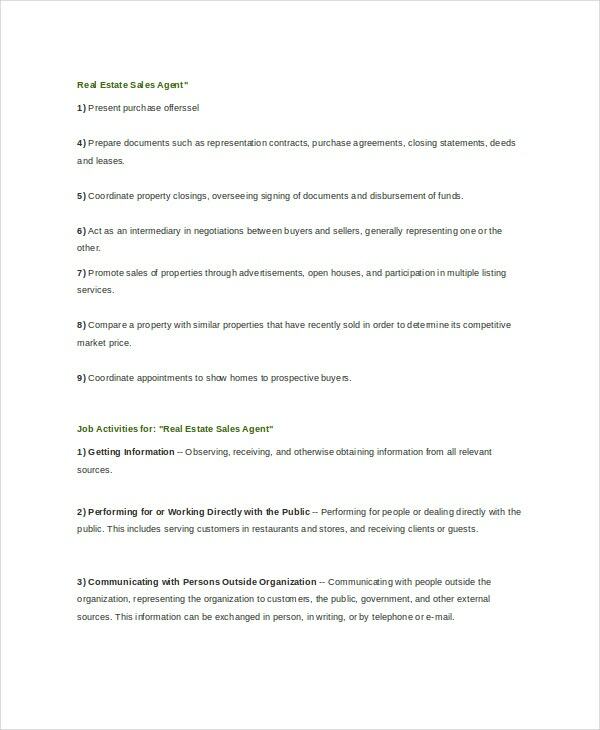 If you want agents who specialize in property, you can take help of the real estate job description template here. Plus, it is very easy to use as well. 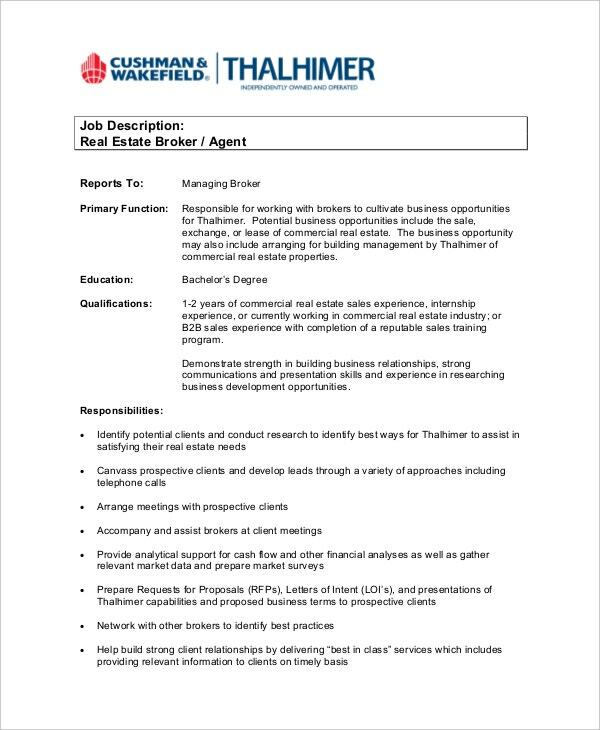 If you have a vacancy for the post of a broker at your real estate firm, you can advertise it with the help of this splendid template here. It would work as an excellent sample as well. Make sure you have a list of your requirements ready beforehand. 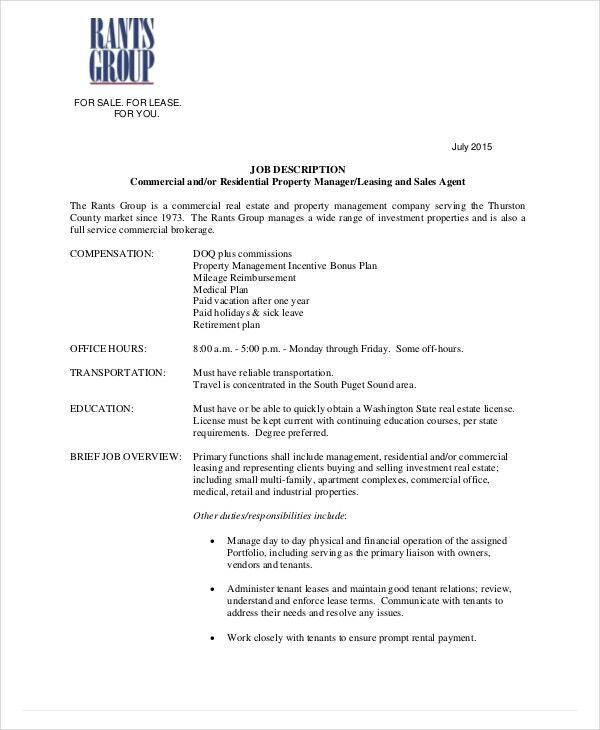 Before you actually start working on the real estate job description templates, make sure you have a rough draft ready. This helps you to prevent mistakes and also ensures that you don’t miss out anything. 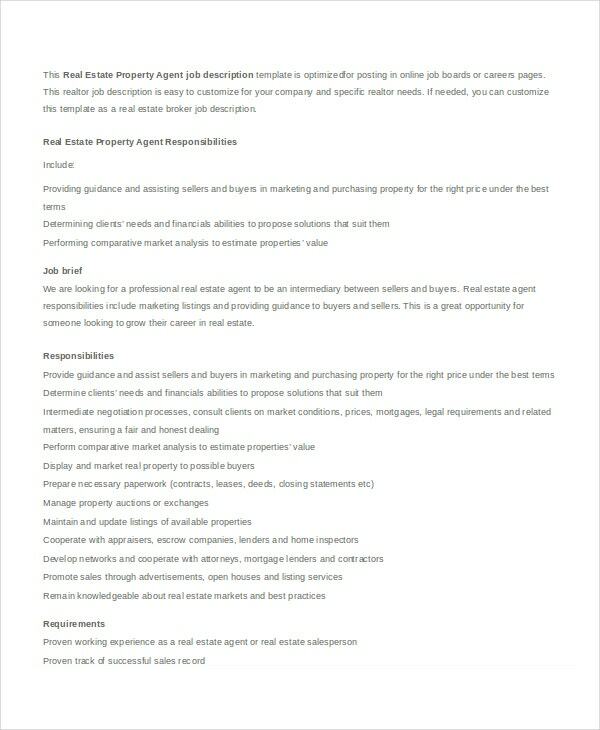 The real estate job description templates that you choose should go with the job post you have in mind. Here, you have a series of templates of different kinds. Make sure you go for the right one. If you are planning to hire new agents for your company, you need to pay attention to the kind of job description you use. That will decide the kind of employees you attract. All you have to do is go through the various templates present here and download the ones that you think are suitable.